WILLIAM IS PLAYING ARTHUR NARRACOTT IN THE NATIONAL THEATRE'S UK TOUR OF 'WAR HORSE' UNTIL AUGUST 2020. RECENT THEATRE - ALAN IN THE UK TOUR OF 'THE FULL MONTY' 2016-17; 'THE MOUSETRAP' AS MAJOR METCALF, BOTH IN THE WEST END AND THE UK NATIONAL TOUR 2014-16. OTHER THEATRE INCLUDES SARTORIOUS IN 'WIDOWERS' HOUSES' BY GEORGE BERNARD SHAW, AT THE NEW VIC, STOKE AND THE WATERSHED PRODUCTIONS NO 1 NATIONAL TOUR OF 'BOUNCERS'. 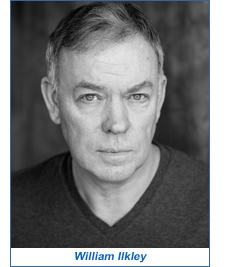 WILLIAM IS AN ASSOCIATE ARTIST OF THE NEW JOHN GODBER COMPANY FOR WHOM HE PLAYED LOZ IN 'THE DEBT COLLECTORS' AND LEN DAWSON IN 'WEEKEND BREAKS'. HE WAS SEEN AS RICHARDETTO IN 'TIS PITY SHE'S A WHORE' AT THE WEST YORKSHIRE PLAYHOUSE. RECENT TV INCLUDES 'ENDEAVOUR'; 'DCI BANKS'; 'THE ROYAL' AND 'HOLBY CITY'. RECENT FILMS INCLUDE JEFF IN 'THE DAY OF THE TRIFFIDS' FOR THE BBC; BARRY'S DAD IN MICHAEL CAINE'S FILM 'IS ANYBODY THERE' AND THE POLICE COMMANDER IN RICHARD CURTIS' MOVIE 'THE BOAT THAT ROCKED'. William trained at Rose Bruford on the B.A. (Hons) Theatre Arts Course and his regional theatre credits include Bolton Octagon, Manchester Royal Exchange, Newcastle Playhouse, Birmingham Rep, Theatre Clwyd, Watford Palace, Harrogate Theatre, Leeds Playhouse, Derby Playhouse, Leicester Haymarket, York Theatre Royal and The West Yorkshire Playhouse. 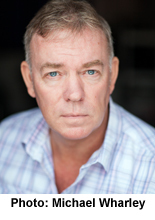 William was a leading actor with John Godbers' Hull Truck Theatre Company from 1988 to 2001 and for Hull Truck he appeared as Arthur in UP 'N' UNDER, Lucky Eric in BOUNCERS, Jack in SEPTEMBER IN THE RAIN, Jack in HAPPY JACK and Bob in THE NEW OFFICE PARTY. West End and touring Theatre includes creating the role of Harry Hickman in the award-winning SALT OF THE EARTH for the Edinburgh Festival, National Tour, Donmar Warehouse and the Swan Theatre RSC Stratford; Malvolio in TWELFTH NIGHT for the Edinburgh Festival, National Tour and Donmar Warehouse; Frank in UP 'N' UNDER in the West End, Morris in the National Tour of LUCKY SODS, Ken Blake in both National Tours of GYM AND TONIC, Judd in the 21st Anniversary National Tour of BOUNCERS and Bob Lawrence in the National Tours of UNLEASHED again for John Godber and Hull Truck Theatre Company. In October 1999 he had the privilege of appearing at the Olivier Theatre in the Royal National Theatre in BOUNCERS as part of the National Theatre's celebration of the last century's 100 greatest writers and in the summer of 2000 created and played the roles of Stan/Malc and Fred in SEASONS IN THE SUN, by John Godber, a commission by the West Yorkshire Playhouse and was seen in the Autumn 2000 tour and West End 2001 run of BOUNCERS at The Whitehall Theatre, and also the 2002 major National Tour with Gareth Hale and Tim Vincent. He returned to the West Yorkshire Playhouse as Jack in SCUFFER by Mark Catley and in 2009 returned to Hull Truck to play Arthur Hoyle in John Godber's 25th Anniversary production of UP 'N' UNDER and Captain Nemo in 20000 LEAGUES UNDER THE SEA. William has over seventy TV credits including HARRY'S GAME, DOCTOR WHO, HOWARDS WAY, ALL CREATURES GREAT AND SMALL, THE BILL (4 times! ), LAST OF THE SUMMER WINE, HEARTBEAT (twice! ), EMMERDALE, PIGEON SUMMER, THE WARD, CORONATION STREET, WING AND A PRAYER, GOLD, HETTY WAINTHROP INVESTIGATES, CASUALTY (twice! 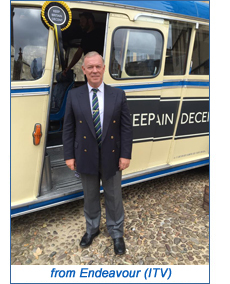 ), JUDGE JOHN DEED, DALZIEL & PASCOE, HOLBY CITY, THE LAST DETECTIVE, EASTENDERS, BATTLEFIELD BRITAIN, DOCTORS (twice! ), FAMILY AFFAIRS, BREAKING THE CHAINS, VINCENT, CLASS OF 76, THIN ICE, MIDSOMER MURDERS, CASUALTY 1909, THE ROYAL, HOLLYOAKS, DCI BANKS and ENDEAVOUR. Film credits include the BBC Screen 2 films DEFROSTING THE FRIDGE with Joe Don Baker and SMALL ZONES with Sean Bean. The BBC Screen 1 Film THE FIX, also SHIPWRECKED with Gabriel Byrne and THE WHIPPING BOY with George C Scott for Walt Disney Productions; NIGHT OF THE FOX with George Peppard and Michael York; PAPER MARRIAGE with Gary Kemp and Rita Tushingham and BETWEEN TWO WOMEN and THE JEALOUS GOD for North Country Pictures. In 2004 he played the lead role of Malc Spencer in THUNDER ROAD, a film for the BBC and in 2009 was seen with Michael Caine and Leslie Phillips in the film IS THERE ANYBODY THERE. In 2009 he was also seen as the Police Commander in Richard Curtis's movie THE BOAT THAT ROCKED which stars Philip Seymour Hoffman, Kenneth Branagh and Bill Nighy. He was seen in the BBC / Powercorp Production of THE DAY OF THE TRIFFIDS as Jeff.